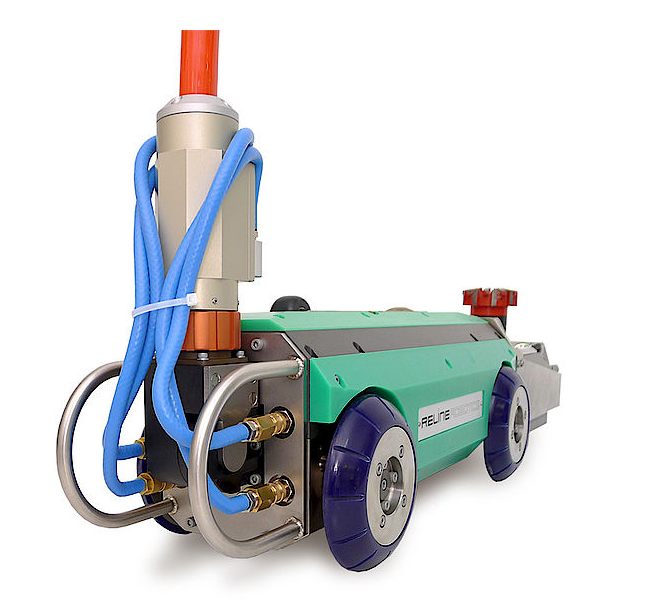 Lanes has several robotic cutting teams working throughout the UK, opening up lateral connections after pipe and sewer rehabilitation. The precision required to locate the lateral connection and make sure that it is fully opened up is carried out using the robotic cutter in conjunction with CCTV equipment that plots the exact location. The units can deal with pipes from 75mm – 850mm opening up the lateral connections to restore flow to the building and properties connected to the main sewer system. The robotic cutting units are also used to remove root ingress for both fibrous and tap roots that find their way into the sewer network searching for water. Typically this is carried out when preparing a drain for rehabilitation. Saving time, money and disruption by removing the need for extensive excavations, this method of preparation is ideal as part of the CIPP reline process. Once the root ingress is removed the pipe is cleaned and a CCTV survey completed to survey the extent of the damage to the pipe. Lanes have also been involved in several jobs removing a variety of obstructions from pipes, drains and sewers. These include tile slurry, cement and concrete that finds its way into the drain and sewer network during construction and refurbishment of new buildings. The amount of occasions when this occurs is more frequent than you would anticipate, as the pressure of construction sites to complete and hand over the buildings to clients is massive, and errors do happen. Understanding these pressure and deadlines is something that Lanes can assist with, project managing the removal of the obstruction effectively. Cables, wooden fencing stoops, toys and objects that are discarded and lodge in drains and sewers are costly to remove if you need to dig down and excavate. The robotic tools that Lanes operate have removed numerous items by cutting and grinding the obstruction into smaller more manageable pieces that can then be sucked out once they have been pushed into the nearest manhole chamber. Flexibility and adaptability are key to the successful approach from Lanes to provide effective solutions to customers when problems of this nature ocurr.